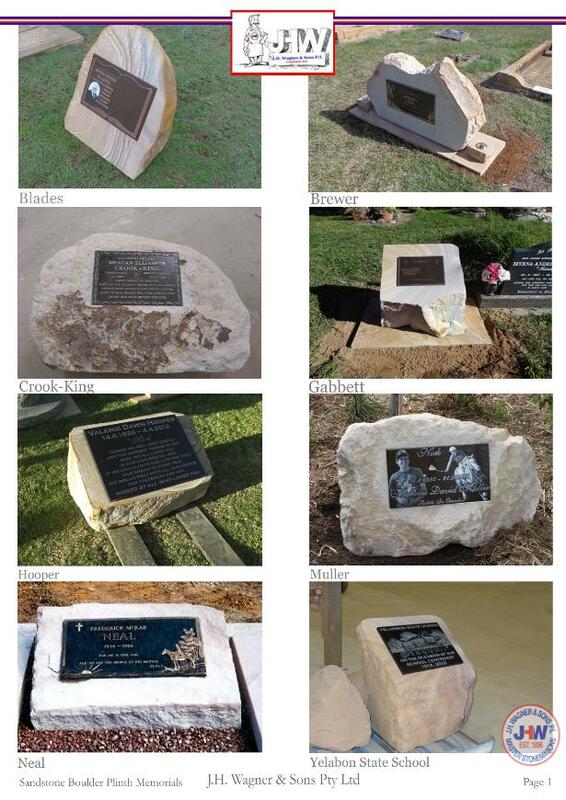 Sandstone Boulder Plinth Memorials supplied by J.H. Wagner & Sons. For a memorial which requires a non-traditional style of headstone, J.H. Wagner & Sons can offer a rustic, natural style sandstone boulder plinth. Each stone will vary in natural beauty, shape and size with the opportunity for your personal selection of a sandstone boulder plinth at our Toowoomba factory. Inscription plaques fixed onto the sandstone boulder plinth include options of both granite and bronze. Please note a sandstone boulder plinth may not suit the dimension requirements of some Cemetery sections.